Frozen Fins, VT Parrot Heads In Paradise, Inc. (founded in 1995, incorporated in 1998) is one of over 239 Clubs in the United States, Canada and Australia proudly affiliated with Parrot Heads in Paradise, Inc. 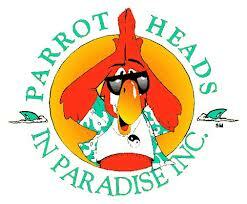 The Club is a chapter of the National Organization “Parrot Heads in Paradise” Inc. (PHiP). The mission of the Club is to offer assistance and/or support to local and state charitable organizations and organize social activities that include the celebration of the tropical spirit, music and lifestyle of Jimmy Buffett. Frozen Fins, VT Parrot Heads In Paradise, Inc.